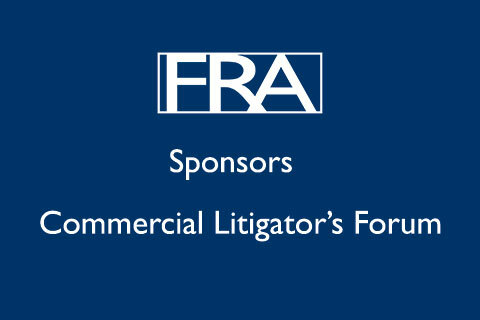 The Commercial Litigators’ Forum (“CLF”) was established by leading dispute resolution practices and aims to encourage the discussion of litigation related matters of interest affecting the legal system, produce discussion papers and initiatives on litigation matters, set up channels of communication with the judiciary and work with other bodies such as the London Solicitors Litigation Association, the Commercial Court Users Group and the International Bar Association. Regular meetings are held, at which events are planned and programs organized. FRA is a proud Silver sponsor for the forum, in the categories Expert Evidence and eDiscovery. To find out more about the CLF visit their website.